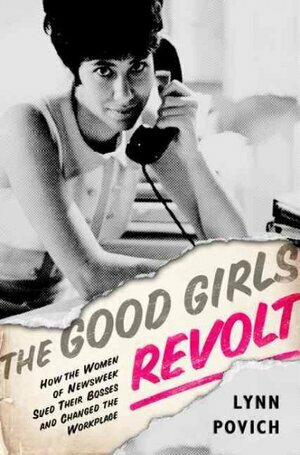 “Good Girls Revolt,” a new series from Amazon about the female employees of a national magazine in the late 1960s, stays true to the diverse history of stories that grew the women’s movement into the continuing force it is now. Led by hippie chick Patti Robinson (Genevieve Angelson), the girls working as researchers in “the pit” of the newsroom hire a lawyer from the ACLU to sue the magazine for the right to work as reporters, a job designated for men only. As is made clear in the final episode (no this is not a spoiler), they are not suing to gain automatic promotions or sudden hikes in pay, but the same opportunity men are given – to earn a position with the magazine as reporters. 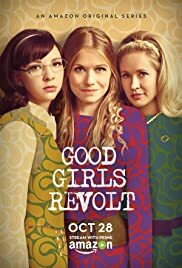 “Good Girls Revolt” is an incredibly intelligent fictionalized telling of Lynn Povich’s 2012 book of the same name, which follows the 1970 gender discrimination lawsuit filed by female employees at “Newsweek” magazine. Though the plot primarily follows Patti and her two colleagues, Jane Hollander (Anna Camp) and Cindy Reston (Erin Darke), the cast of more than 15 women leave room for the audience to relate to every type of feminist. In tandem with the ladies’ professional struggles, this 10-episode series explores the implications of expanding sexual knowledge, loss during wartime, marital commitments and betrayals, expectations of the male gaze, difficulties between races and denial of the homemaker role. While each woman has a different motivation for joining the lawsuit, along with different personal obstacles that could easily convince them to turn away, they join together as a tribe – not to make change just for themselves, but to lift all women up to greater possibilities. And that’s how you continue a movement.